I knew I wanted to use the stencil and some of the new mousse, and when I saw the daisy print paper in the paper pack, I decided to use aqua and yellow as my colors. Everything fell into line nicely after that decision was made. The mousse is creamy and easy to us and dries to a lovely pearlescent glimmer. Everything cleans up with water, too! 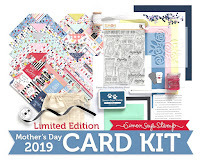 The Card Kit sold out almost immediately, but the stamp set and this mousse color are available at this writing. 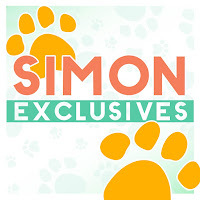 Don't forget that you can subscribe to Simon's Card Kits at a savings of $5.00 a month and never miss another one! 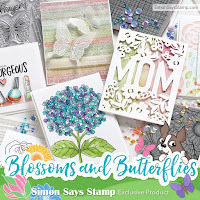 Last week I found a gorgeous card by Lisa Addesa at her blog I'm in Haven that used 2 Simon dies, and I practically fell over myself to make my own version of her card, with some of my favorite things - yellow roses and hugs! I first die-cut my roses, then taped them to my panel temporarily so that I could decide where to place the leaves. After the leaves were cut and lined with 2 green cardstock colors, I then paper-pieced my roses and attached them to the panel. Next I stamped my sentiment, popped the panel above my card base, then added some sequins. It may not be obvious, but the leaves are partial die-cuts, so that they are attached to the panel at one end (and under the flowers), but can be pulled up and popped a bit. Such a fun dimension! Thanks, as always, for your visit! I was recently shopping and saw both a top and a pillow that had black and white stripes in the background, and a spray of brightly colored flowers flowing diagonally across it. So I came home and made a card using those ideas, but substituting butterflies for the flowers. Since it's the end of the month, our theme is your popular Anything Goes! 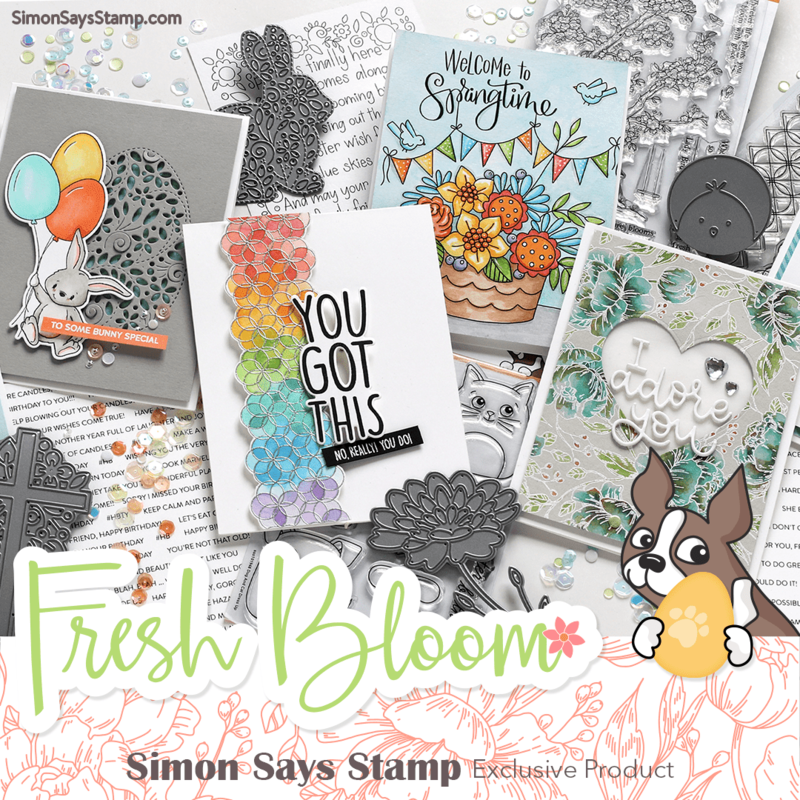 We're playing with our own Simon Says Stamp goodies! I decided to bring some sunshine to February for my first card - I love these colors! Spring has been teasing us lately, and so I made a woodland card that reflects this time of year. There is no stamping on this one - all dies and a sticker for the sentiment! Hope your week will be a banner one! Today at the Hero Arts Flickr group, LaVon is hosting the 148th scramble. She challenged us to make an interesting background panel. The scramble part of the challenge means that we have to make a card according to the rules, photograph it, and post it, all within 90 minutes. As always, I posted my card with just a few minutes remaining. I used a technique that Cindy first used with this background: stamp in one color of ink, then turn the stamp 180 degrees and restamp using another color of ink. Then I trimmed my panel, sponged the edges with the darkest ink, and attached it to my white card base. I used the same inks to ombre the diecut, and to color the small banner which was white embossed. This scramble will go on for 24 hours, ending at 12:00 noon Eastern time tomorrow, if you'd like to join in, too! Thanks for coming by! 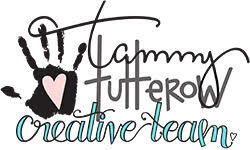 It's time for our semi-monthly feature at the Tammy Tutterow blog! 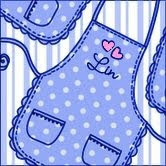 Today I made another of Tammy's posies using crinoline, and added it to a tag. 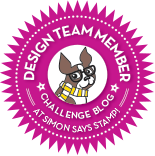 I hope you'll visit Tammy's blog to see what my teamies did this time! Our theme this week is Fantastic Florals, and we're playing with beautiful Altenew products! I chose a favorite Altenew multi-step stamp set and some of the newer Altenew ink colors. The flowers and large leaves are multi-step stamped, but the tiny sprigs are outline only, so I smooshed some of the inks onto an acrylic block, and then used a wet paintbrush to transfer the color to those small images. And after embossing my background panel, I lightly swiped the lightest rose ink over it to bring out the details even more. This one started with a scalloped rectangle piece of watercolor paper. Then I smooshed the 3rd color of each ink set onto a piece of acetate, sprayed with water, and then smooshed the acetate onto the paper, doing each color separately. Separately I stamped the painted flowers and fussy-cut them out and arranged them onto my background, adding my sentiment and some Nuvo drops. 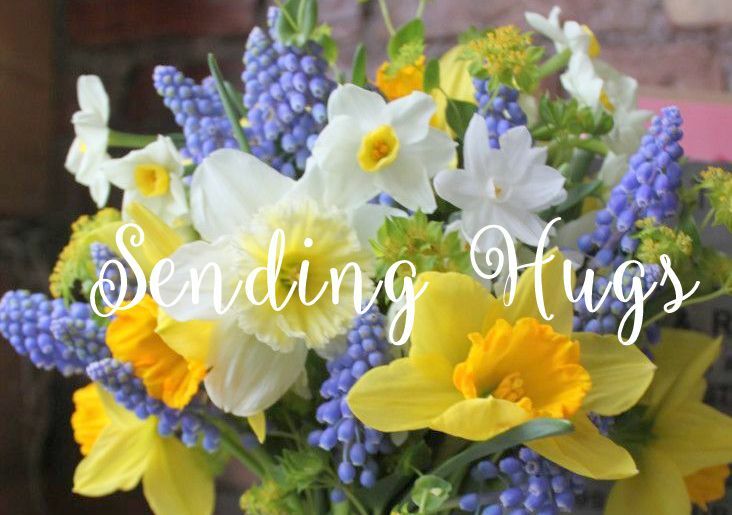 A quick post today to wish you a Happy Heart Day! I'm sharing a card I made for a sweet friend - this little bear is the perfect image for the occasion! Hope you will spend this day with someone special! Happy Sunday! Here's a card using some new daffodil stamps. These are multi-step stamps. I chose this set because I think daffodils make a great card for a spring birthday, either for a man or lady. This set has 2 sentiments included in it, this birthday one and a thank you, so you've got everything you need in one package! I like the detail that the dots that are to be used for stitching gives to this otherwise simple design. This particular set is currently sold out at Simon, but there are several others available right now. I'm entering this into the Die Cut Divas current challenge: use pink or red. Hope this will help you get more mileage out of your dies, too! Have a good weekend! 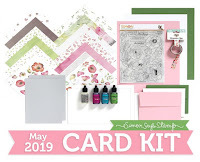 Our theme this week is Cute, and it's a perfect match for the products made by Wild Rose Studio! These Wild Rose stamps are so economical that I also chose this adorable "Owls on a Branch" stamp. I know it's mainly for Christmas, but I masked out the stockings and colored it so that it would work for winter, too. And I sold my cute theme with the sentiment! This will be going to our granddaughter - her school mascot is an owl, and I think she'll get a kick out of this! Green, particularly this spring green, is a favorite of mine, and I was pleased to see that it was chosen as this year's Pantone Color of the Year! At this time of year, making spring cards makes me happy, and helps to get through the winter doldrums. 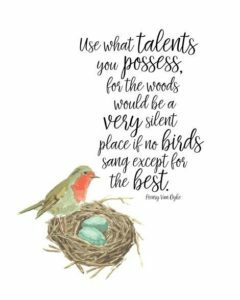 Spring to me means birds singing and building nests, and my card reflects that feeling. I used a mix of products. I hope this helps to start your week off with a smile! I haven't made a wreath card in awhile, so I thought I'd do a simple spring wreath today! My card uses a well-loved Altenew stamp set that is a multi-step set. And I used the Altenew inks, which are water-based to smoosh some color onto the Bristol paper background. Hope this brightens your day - have a great weekend! It's time for another Five for Friday feature at Tammy Tutterow's blog! Today I used a set of Tammy's floral dies and some crinoline and distress inks to make a flower and a sort of modern vintage card. supplies: white and periwinkle cardstock, Tammy Tutterow Frayed Posies, blueprint sketch distress ink and water, leaves from Pom Pom Posies, twisted citron distress ink and water, crinoline, stamens, Tim Holtz Doily embossing folder, Taylored Expressions Fancy Banners 2, colored with markers. It was really fun to make this flower. I first cut out 4 or 5 layers of each of the 2 flowers in this set from crinoline, then smooshed ink onto my kraft mat and spritzed it with water. Next I pulled the flowers through the ink until I had the periwinkle color I wanted. They were then set aside to dry while I made the leaves in the same way. When everything was dry, I used a thick needle to pierce the centers of each flower, then pushed through the stamens. I decided to frame my flower with an embossed doily and added this pretty banner as my sentiment. Our theme this week is "Color of Love", and we're playing with Reverse Confetti products. I have 2 cards for you today, in very different color ways.